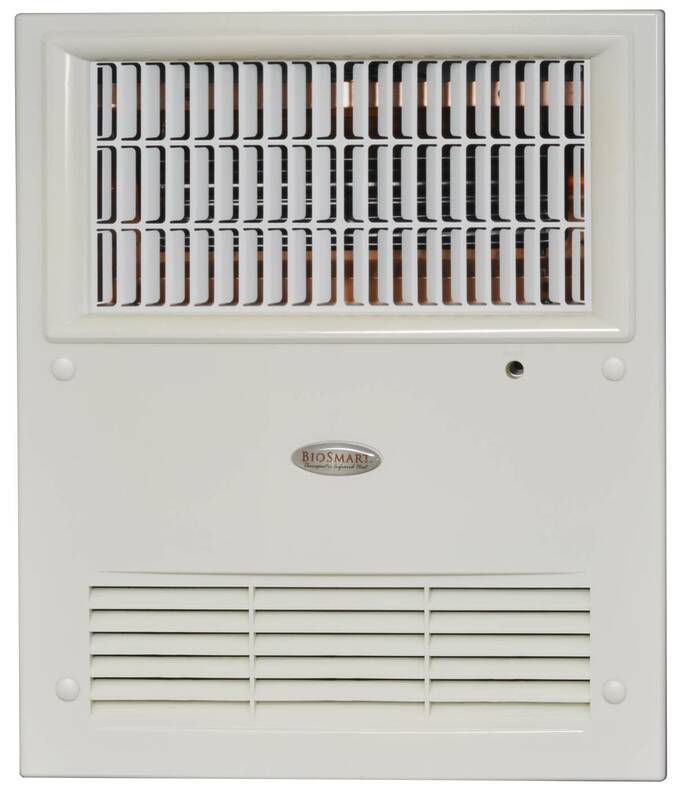 The BioSmart® In-Wall Far Infrared Heating System is a revolutionary way to heat your home. With 14 new patents, it is the most efficient, effective, safe and therapeutic heating system on the market. Perfect as a primary heating system for your home, office, studio, or gym. IMPORTANT: Be sure to double check that you are buying the proper voltage (most In-Wall heaters are wired for 220 Volt). Click on the INSTALLATION tab below, and read the info on thermostats, before ordering. Call 1-866-446-0500 if you need help. Chassis Safety Insulation: Exceeds all government and independent laboratory standards for safety in an installed heating appliance (a safety standard that exceeds other manufacturer’s specifications). Internal Ceramic Blanket: Provides R45 insulation between the wall and the heater. The heater cabinet installed in the wall remains cool to the touch while delivering warm (160° F) infrared heat into the room. 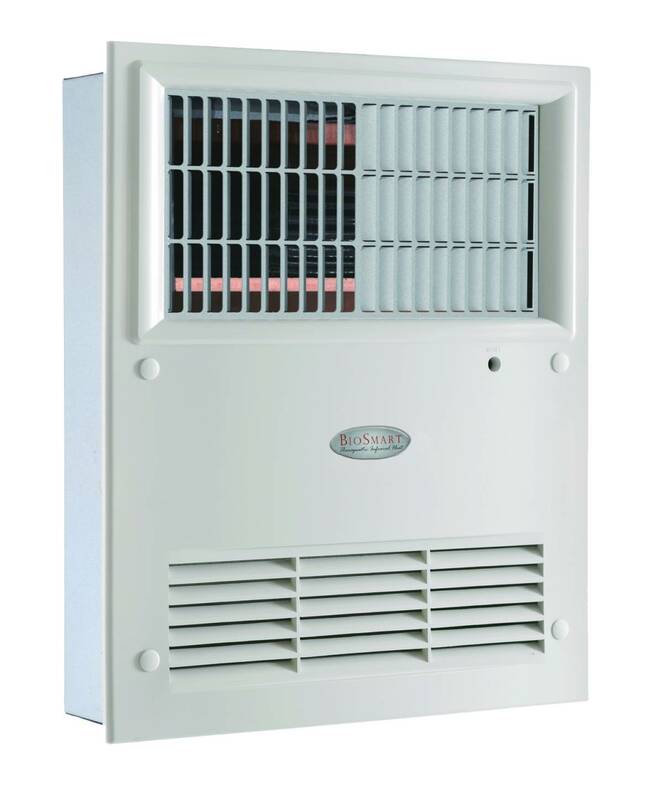 Thermostat Power Requirement: None – the unit contains its own relay wire for hooking up to a thermostat. 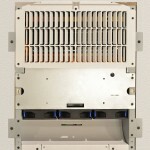 See the Owner’s Manual (available from the download tab) for specific installation instructions. Make sure to take out all foam packing from inside and around heating elements and heater. Be sure to double check wiring instructions as the color coded wires may not necessarily match conventional color codes. 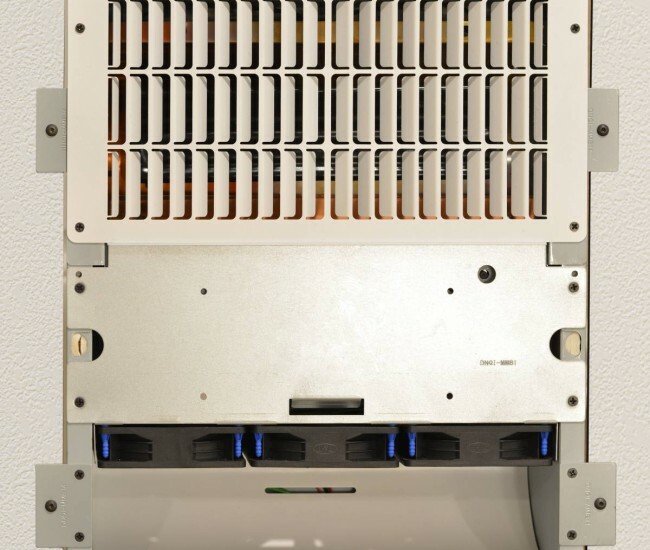 Most thermostats are battery operated and have two contacts on the back that are used for connection to the yellow and white (or blue and white on some models) wires that go to the relay inside the heater. Any 18-22 gauge wire can be used to run the connection from the thermostat to the heater. 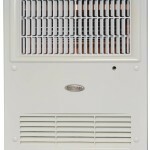 A wall thermostat with 12 or 24 volt power supply can also be used to operate the heater. 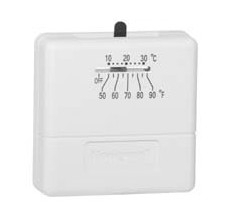 The contacts on the back have the same attributes as the contacts on a battery operated thermostat. The heater relay wires are connected to the milli-amp (low voltage) contacts on the back of a 12 or 24 volt thermostat. If the 12 or 24 volt thermostat does not have milli-amp contacts on the back, it cannot be used for this application. Most 12 and 24 volt thermostats are combination thermostats and have both types of contacts on the back for connecting to various actuating valves and solenoids in heating and air conditioning systems. These 12 and 24 volt connection pins should not be used to connect the heater. 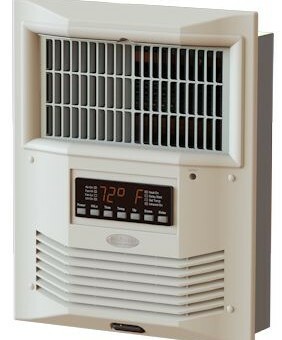 The thermostat wires to the heater incorporate a milli-amp circuit with no voltage requirements which is standard on all wall thermostats whether they are battery operated, or 12 volt, or 24 volt operated. Applying a 12 or 24 volt DC current to the PC board and the relay inside the heater will damage the heater. BioSmart Technologies (BT) warrants this product, to the original purchaser or gift recipient, to be free from defects in workmanship and materials under normal use and service, for a period of one year from the date of purchase. 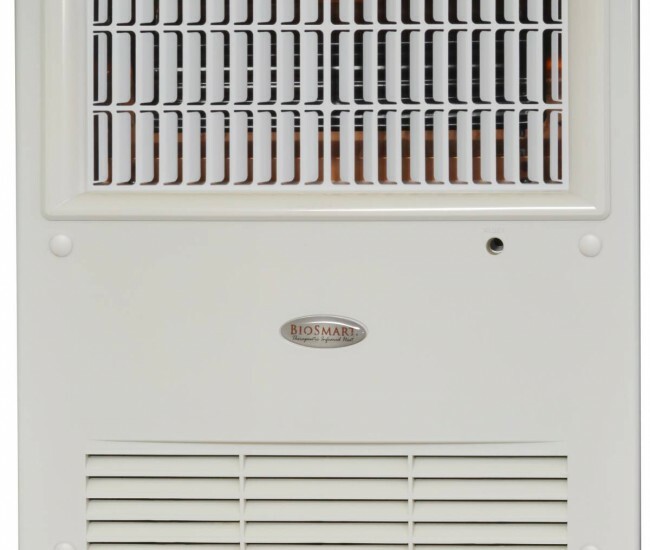 BT further warrants the infrared heating elements and fan, to the original purchaser or gift recipient, for a period of five years from the date of purchase. 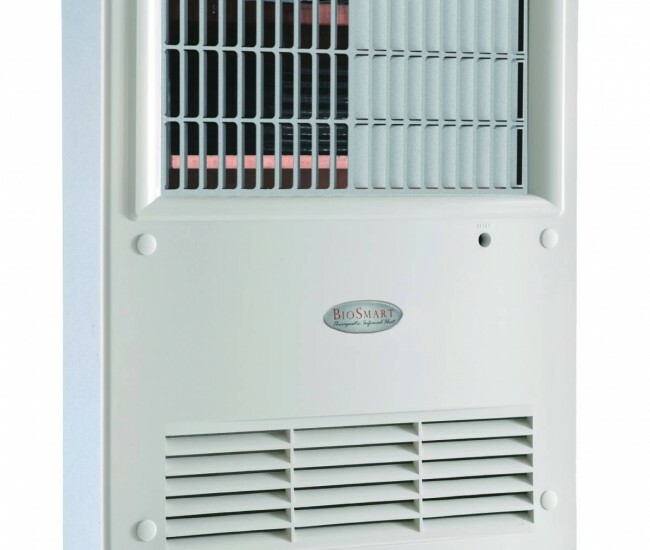 Five Year Warranty: BT shall warrant the ceramic infrared elements and fan in the heater to be free from defects in workmanship and materials under normal use and service, and shall supply at no cost to the original purchaser replacement elements as required to maintain product in good working order. Shipping: BT shall bear the cost of return shipping and repair, or replacement if, during the first 90 days, there is a defect in workmanship or materials. Thereafter, customer shall bear the cost of return shipping and BT shall repair or replace any defective part including all labor for a period of one full year from the date of purchase. 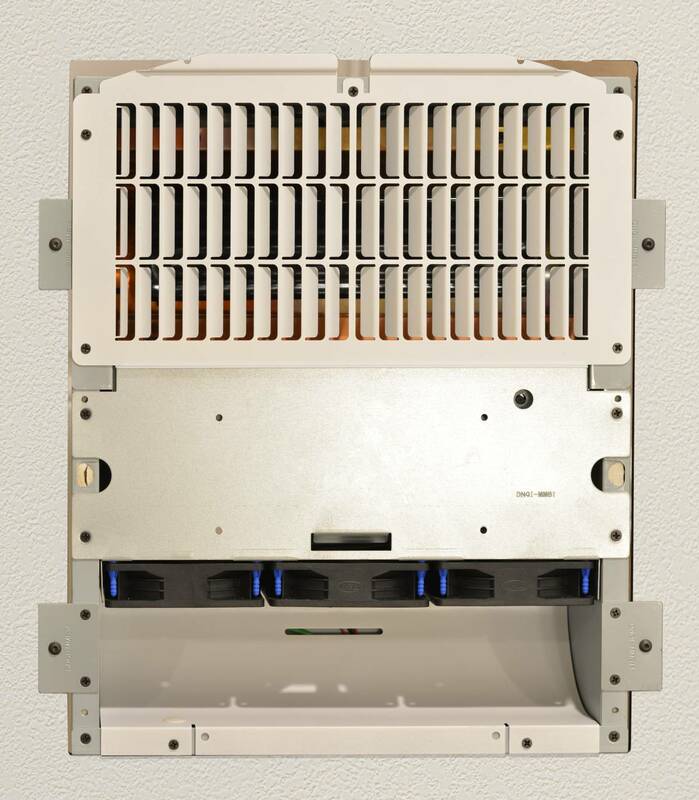 See your Owner’s Manual for Troubleshooting your BioSmart® Therapeutic Ceramic Infrared In-Wall Heating System, or call our customer service department at 1-800-595-9605. 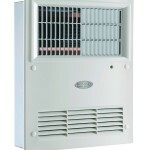 Guidlines for installing BioSmart In-Wall heaters into existing dry walls.